Turf toe is a sprain of the base of the big toe, where the big toe meets the foot. It is usually a hyperextension sprain of the first metatarsophalangeal joint. 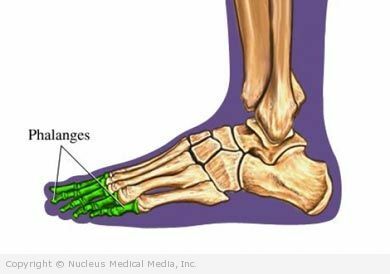 A sprain is stretching or tearing of the ligaments that support a toe. Ligaments are strong bands of tissue that connect bones to each other. The injury is called turf toe because it often occurs in football and soccer players when playing on artificial turf. 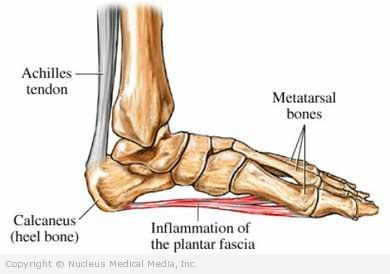 Plantar fasciitis is inflammation of the plantar fascia. The plantar fascia is a thick band of tissue attached to the heel bone that supports the arch of the foot. 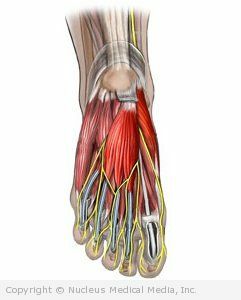 Morton’s neuroma is an inflammation of the nerves in the foot that go to the toes. Although the name includes the word “neuroma,” it is not really a tumor. It can affect any of the toes in the foot. However, it most often affects the nerves that run between the third and fourth or second and third toes.